Quixotic Polish is kinda popular this month on the blog. I think this is my third shade posted? I'm not sure...but I ain't mad about it. 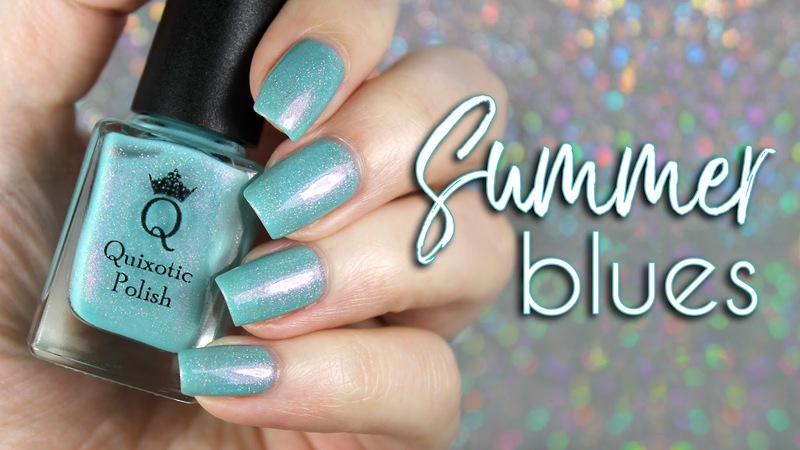 This summer is shaping up to be amazing, and I am glad to kick it off with such a pretty shade. This is a pretty robin's egg blue with an electric pink shimmer and sparks of holo. The formula is super smooth and fluid, and it applies like a really good cream. I was worried that the holo sparks wouldn't really show up because the formula was so creamy, but somehow it maintains that clarity without sacrificing the opacity. I used three coats here, plus a layer of Seche Vite and I was pretty happy with the outcome. Witchcraft, yo. It is the only answer. And when I went for the low light macro, the shimmers shifted into a proper sunset of colors...this really is a summery shade. And I have a lovely live swatch for you! Very nice! I love light blue shades and so many are opaque instead of shimmery. Nice to see some shimmer! Ooo! I love a good mint and the addition of the silver flakies takes it over the top. I’m loving all of the blues right now. 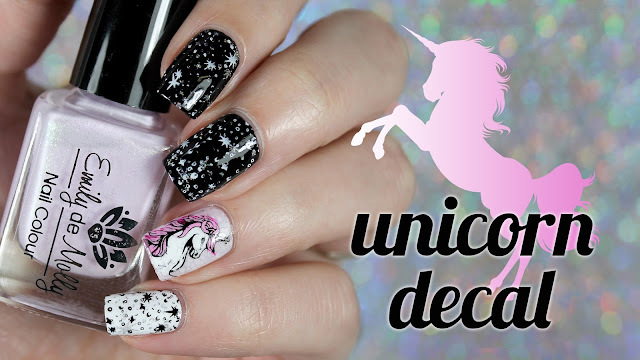 This one is gorgeous as well as your swatches! I’m convinced every shade I have of Mary’s has some level of witchcraft. Not mad one bit! Definitely feeling this blue! What a stunning blue! I find that I reach for these colors the most (when I'm not feeling vampy of course). I love these types of shades! One of the best summer shades I've seen. I think it's fabulous. It is so pretty! It's right up my alley. The pink shimmer in this totally makes the Polish. Beautiful. I love the pop of pink shimmer. That is a beautiful color and the shimmer! Wow. 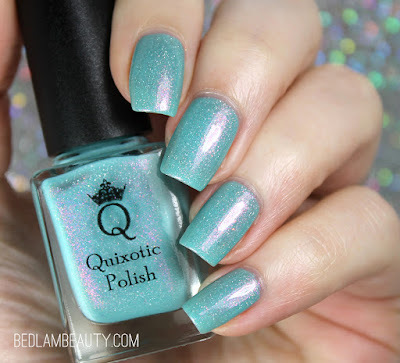 I love everything Quixotic puts out! I love those little flakes! Oh wow!!! I don't know what I love more, the color of those flakes!!! Stunning swatches!! Those pink shimmers are gorgeous! This is such a beautiful polish. that's a nice pretty soft blue with a hint of turquoise. pretty. Wow, what a beauty. That pink shimmer is lovely. Love the shimmer with the pink flakies and the robins egg blue.